Stools, Retro stools, Barstools in Leather, Wood, Chrome, Rattan etc. Barstools, Retro stools, Chrome stool, Wood, plan for your restaurant, home, hotel, or dining establishment, by selecting from our range of sturdy, commercial quality bars stools. 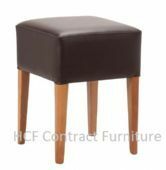 We feature a fantastic collection of commerical wood and metal stools in a variety of designs. Whether you're looking to outfit a restaurant, bar or lounge we have the perfect seating options to match any existing or future decor. We have durable stools for casual and upscale event settings. Choose from a wide variety of stools for outdoor banquets and receptions or any indoor special event.